When you think of online universities, you probably don’t think of Penn State, George Washington, Arizona State or Loyola University in Chicago. And you really don’t think of Harvard or Stanford. But at all of these top-ranked schools, you can at least do some of your bachelor’s degree online, if not all. In fact, between 2008 and 2013, the number of college students taking online courses jumped 96 percent, and as of 2014, 98 percent of public universities offered online degree programs. These huge gains reflect the changing perception of online education, especially among millennials. Chris Cullen, managing director of the educational branding firm The Zodiac Group, says there are generational differences in the perception of online education, with millennials being the most likely to approve of it. In fact, he sees any workplace stigma still attached to online education disappearing as more and more baby boomers retire. “Millennials have grown up in an environment that includes — and honors — online education. 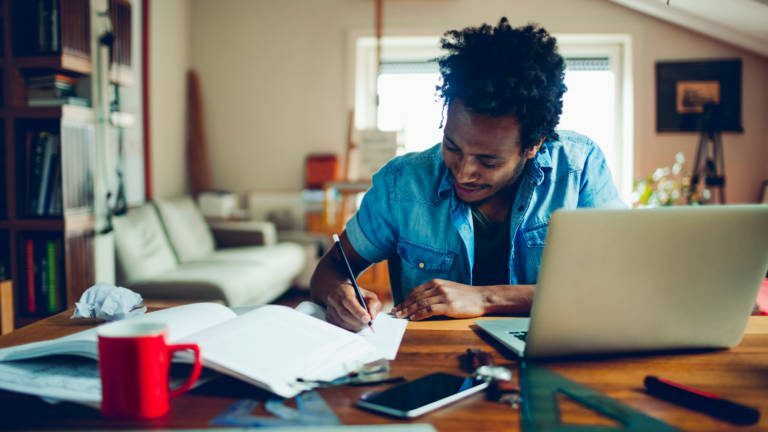 Gen Z will see a great economic and commercial value of online degrees — just in time for millennials to be in more senior hiring positions,” says Cullen. So when Gen Z hits the job market, their millennial predecessors will be making hiring decisions, so Gen Z should be less concerned about stigmas around online degrees. 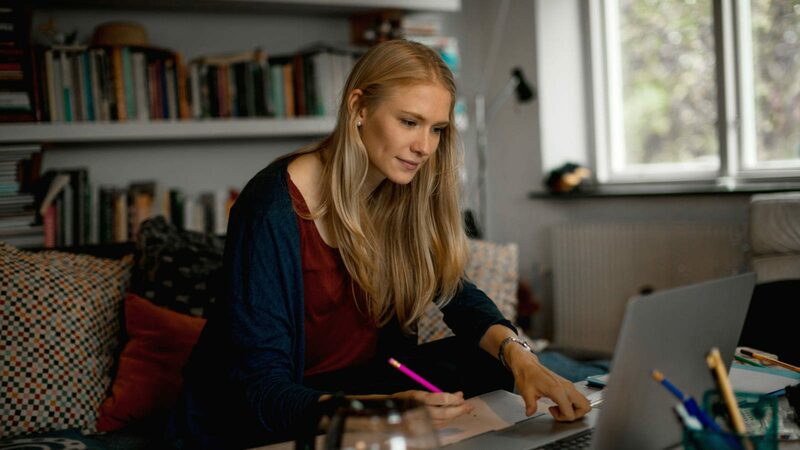 If you’re thinking of enrolling in an online program, consider whether you meet these five criteria, devised by three students who are already doing it. If you suspect you’ll move more than a short distance or even just want to travel more in the next few years than a semester abroad will allow, an online degree program can offer you that flexibility. Sarah Clymer, founder of TransferWays, a blog about transferring colleges, and an undergrad at Temple University’s online program, decided to do an online program because she knew she wanted to travel in her late teens and early 20s. As a result of her choice, she has been able to take multiple trips to Europe, each for months at a time. 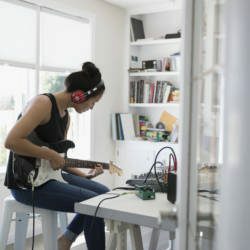 If the tried-and-true college experience of living alongside peers, attending sporting events and leaning into all things campus life hold little appeal for you, then you will not miss much being in an online program. 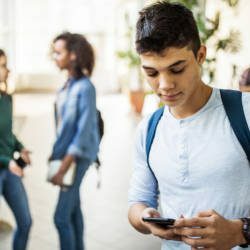 That’s not to say there is no social interaction — you typically do interact with other students online — but the best friend you might take away from the experience is an Internet friend. At Temple, Clymer is vice president of Fox Online Student Association, a student-run organization working to connect online students and host virtual events. She admits to it sometimes being a struggle to get people involved, but the efforts are there. Some subjects lend themselves to online courses better than others. Zach Heiser, who is doing his illustration MFA at Savannah College of Art and Design online until he can be on campus next year, finds traditional art classes, such as drawing and painting where you’d normally receive real-time feedback, to be a struggle. “There have been times when I did not receive constructive criticism until the last minute, which was annoying since I would either have to redo the project from scratch, or I would not have enough time to make any possible revisions before turning it in,” he says. But when it comes to more traditional academic subjects, it matters less whether you receive notes on a completed paper in two days’ or two weeks’ time. Ultimately, it’s up to you to decide if an online education is right for you. But with one in four students taking online courses, know that if you choose to do so, you’ll be in the company of millions — 5.8 million to be exact — of other students.